Wyatt & I went to the Nashville SC match with Memphis 901 FC tonight. We attended with his Cub Scout Pack and got to sit in one of the field level suites. The game was rain delayed an hour and there was rain on-and-off during the game, but we stuck it out. Mostly because, as part of the suite package the group got, we got to go out on the field and shoot a few goals after the game. Most of the families & kids had left due to how late it had gotten, but we stuck it out. Wyatt got 2/3 shots and I missed my one shot (trying to shoot for the corner). Still, was a really fun experience and glad he & I got to do it. Also, Nashville SC won 2-0. Burying or Embracing the Past? 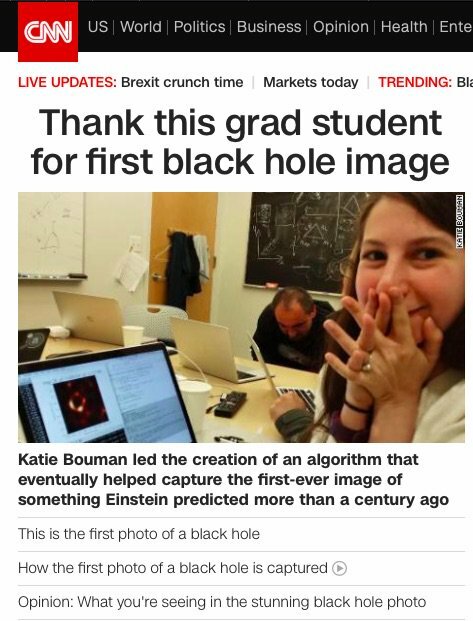 Author Jason ColemanPosted on Friday, April 12, 2019 Friday, April 12, 2019 Format AsideCategories GeneralLeave a comment on Burying or Embracing the Past? 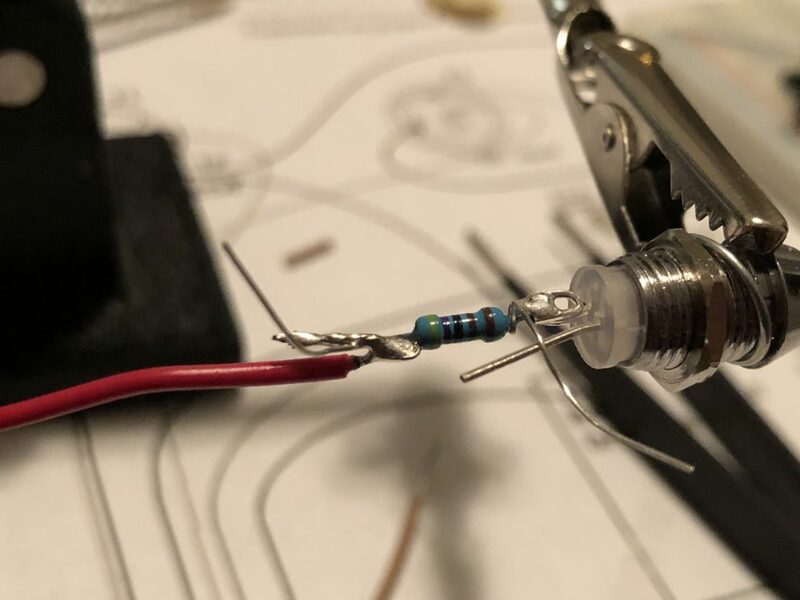 This is a basic element of many electronics projects: how to wire up an LED with a current limiting resistor. 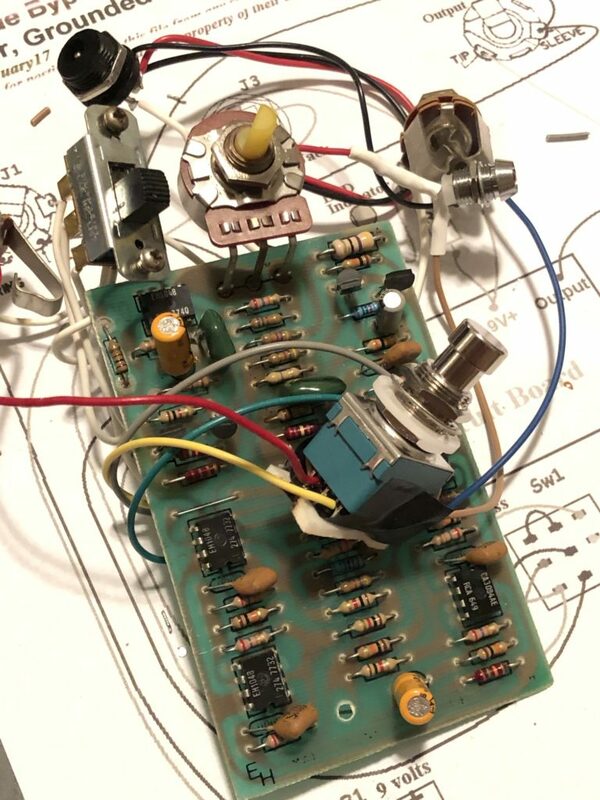 Most effects have a 5 mm LED and many wiring diagrams show a 4k7Ω resistor. There’s a fairly wide range of values you can use, depending on how bright you want the LED (and what the LED’s specs are). You can calculate out the exact value to use if you have the specs for an LED, but using a 4k7Ω works well enough for most situations. Using a pair of craft tweezers, I roll up the positive leg of the LED. Then take the resistor leg and bend it through this loop, then twist it around once. This forms a chain-like connection. 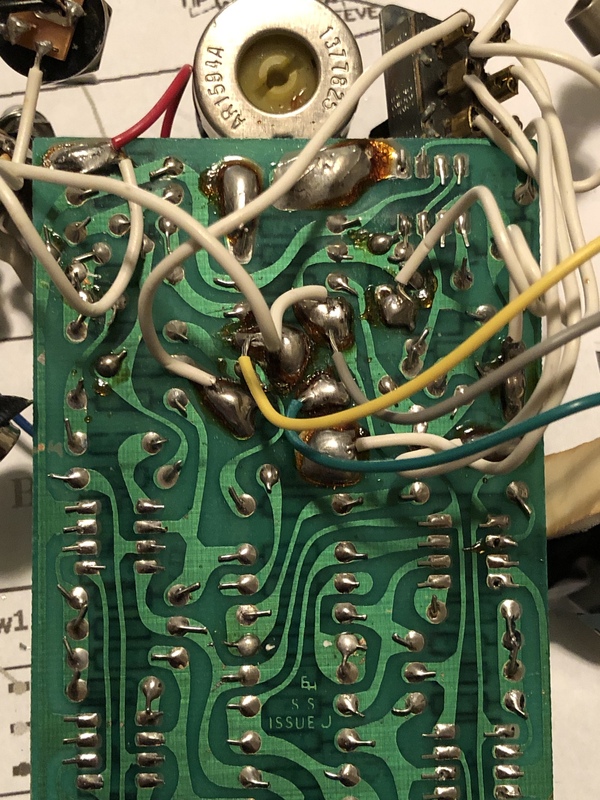 Solder this connection and then trim the resistor leg back. 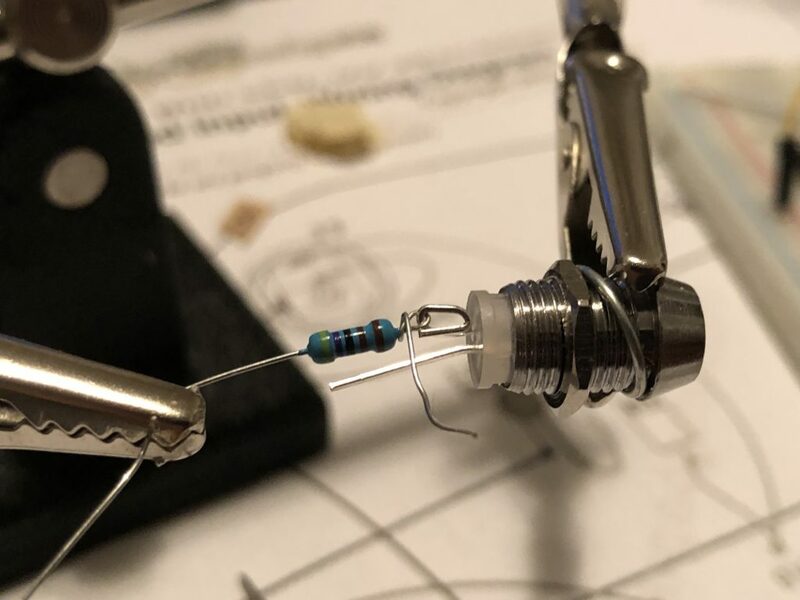 Curl up the outstanding leg of the resistor in a similar fashion. 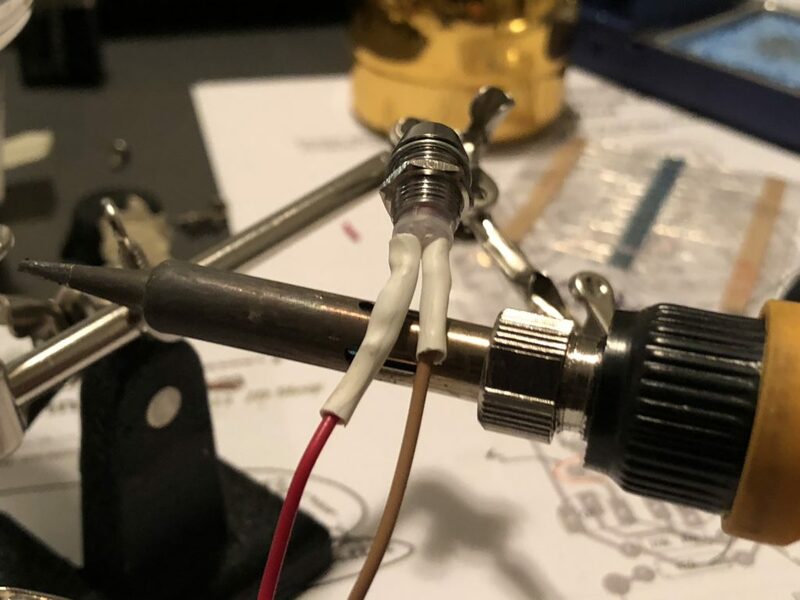 Bend the tinned tip of your hookup wire at a 90° and hook around this loop to solder just like you would a jack connection. 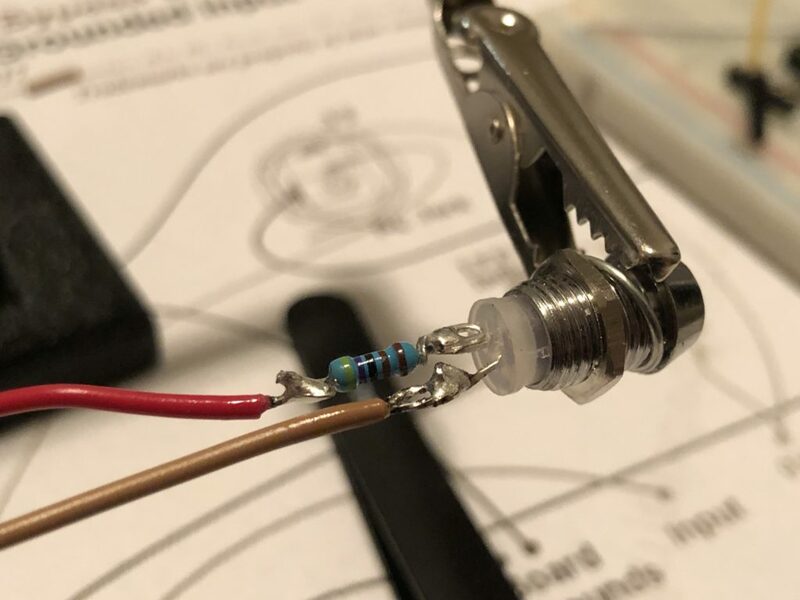 Curl up the negative leg and solder a 90° bend from another hookup wire to this end. Apply heat-shrink tubing over both connections. I picked up using the barrel of soldering iron from Collin of CS Guitars. You could do NASA-spec solder joints if you want, but this is typically more than strong enough for connections. As for the resistor, it doesn’t really matter which leg you attach it (that is, before or after the LED in the circuit) as it will have the same effect. 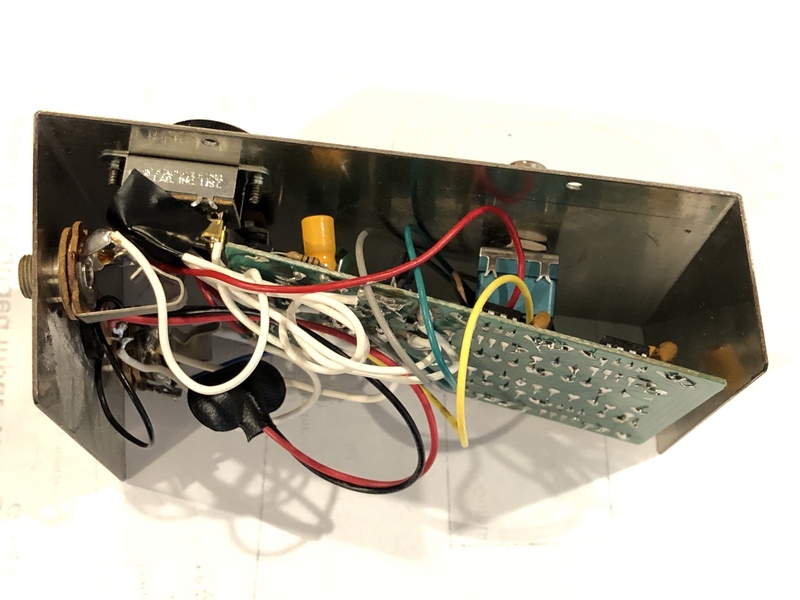 However, by definition, current will only flow through a diode in one direct, so it does matter that you have the LED leads clearly identified. That’s why I try to be consistent with using red as the positive (and typically black for the negative, but I was out of black hook-up wire during this particular project). My garage is sort of organized, but it’s covered in dust. I knew it was getting bad and so I ordered a relatively inexpensive air filter for shop spaces. I’d had my eye on the WEN 3410 3-speed air filter for a while. Home Depot has the best price for this item, but it’s routinely out-of-stock. It came back in stock in February so I ordered one then. It arrived, I plugged it up just to make sure it worked, and then it sat on my workbench for the past 6 weeks or so. I had purchased the necessary hanging hardware a couple of weeks later, but still didn’t get around to hanging it up. 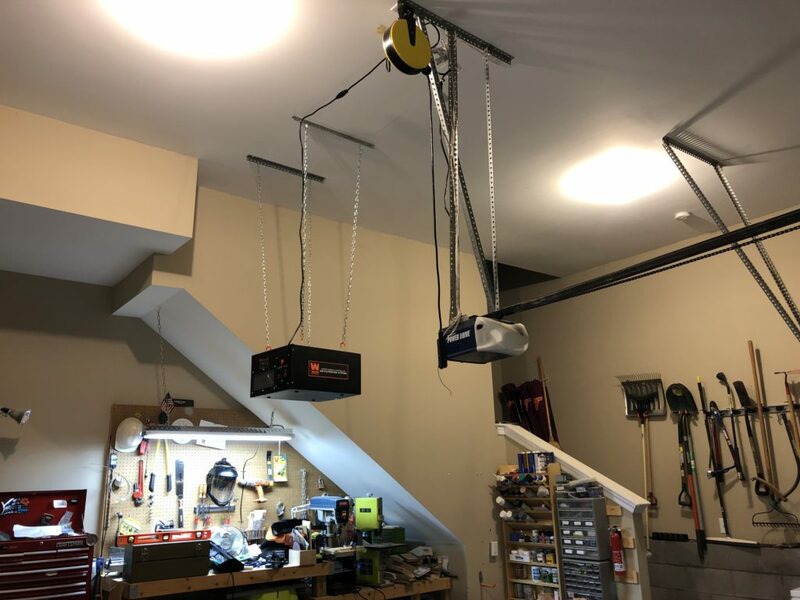 You see, our garage has really high ceilings (12′-6″) and the dinky 12″ chains that are packed in the box weren’t going to cut it. The instructions state to hang it at least 7′ above the floor, but I’m pretty sure 11′ in the air isn’t going to capture a lot of dust. 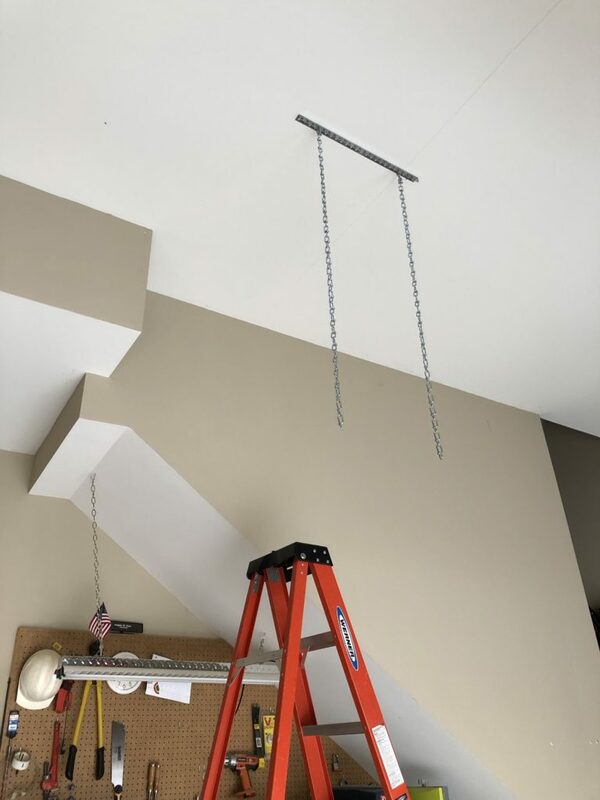 I purchased some pre-punched angle and about 20′ of 300lb chain. But still, this all sat on the workbench (ok, so maybe my garage is less organized than I’d like…). So, today I finally decided it would the be the day to install this thing. And apparently none too soon. My son wanted to go over to his friend’s house but told me he didn’t want to ride his bike because it was covered in dust (he’s not wrong, but we got it down and aired the tires anyway). So the angle I purchases was a 4′ section, and I needed to cut it in half. I also bought a cutting wheel for my angle grinder. 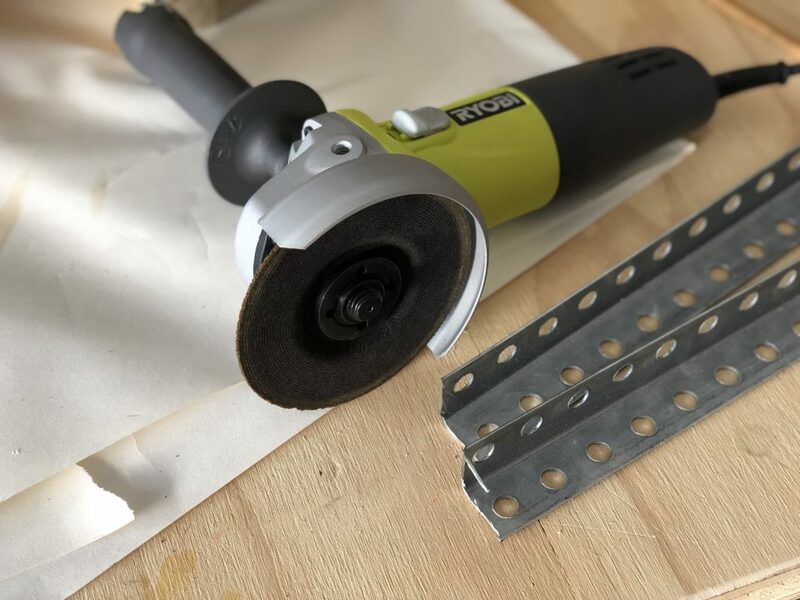 This was actually the first time I’d ever cut steel with an angle grinder. I did wear a full face shield but didn’t cover my arms. The sparks were minimal, but I wouldn’t wanted to have cut several that way. I could have uses the same cutting wheel to cut the chains to length, but my bolt cutter was faster. After that, it was just a matter of getting the angles lag screwed into the ceiling joists. I used some threaded quick links to attach the chains, just in case the unit started swinging around. That proved to not be a problem. Frankly, this was probably all overkill to hang a 31 lb unit, but it’s room to grow if I need something bigger. 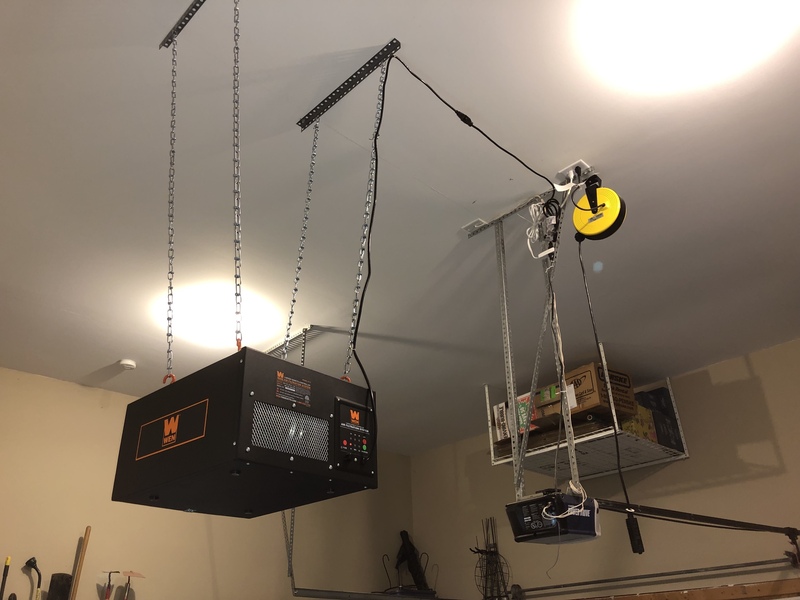 I had to add an extension cord to get it plugged into the same outlet as my garage door opener and my retractable extension cordBy the way, the retractable extension cord is one of the single best items I’ve gotten for my shop. Between that and my rolling workbench, it feels like having a whole new shop area.. Then it was ready to test. Admittedly, this isn’t a very powerful air filter. At full speed, it’s 400 cfm. Fortunately, that’s not enough to get it moving hanging from hose 4′-6″ chains. 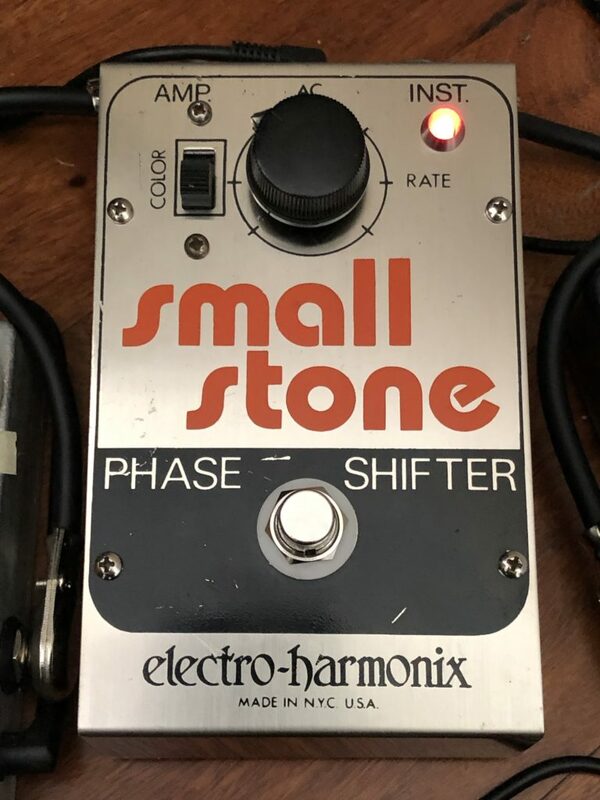 I don’t yet have much of a sense of how well it works, but it gets pretty good reviews. I’ll put it to the test soon enough by taking my air compressor to start blowing dust off of everything.